Ben Eiseman was born in St. Louis, Missouri, on November 2, 1917. His medical school and surgical training were at Yale University (B.A. in 1939) and Harvard University (M.D. in 1943), and his residency in surgery was at Massachusetts General Hospital, in Boston, and Washington University, in St. Louis, Missouri, from 1943–1951. He first served his country as a Lieutenant JG in the US Navy in 1943, on landing crafts as a beach battalion doctor and surgeon. He participated in the Anzio, Normandy, Peleliu, Philippines, and Okinawa actions. He also served in Viet Nam, and Operation Desert Storm. 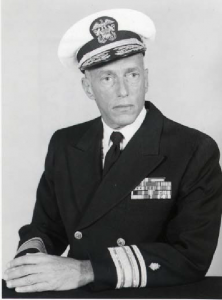 He retired from the Naval Reserves as a Rear Admiral in 1974. From 1953 to 1961 he worked as Associate Professor of Surgery at the University of Colorado Medical School in Denver, Colorado. Between 1961 and 1967 he was Professor of Surgery and Chairman of the Department of Surgery at the University of Kentucky Medical School in Lexington, Kentucky. In 1967, he returned to the University of Colorado Medical School to serve as Surgeon-in-Chief at the Denver General Hospital for 10 years. He then moved to successive similar positions at the University affiliated Rose and Veterans Administration Medical Centers until 1988 when he became both Professor Emeritus of Surgery and Medicine at the University and a Distinguished Physician in the Department of Veterans Affairs. Dr. Eiseman interpreted “Emeritus” and “Distinguished” to mean he could leave his VA office in the early afternoon as long as he began his day by 6:00 AM. This was an inspiring 5-day week of rounding and teaching, which often also included stopping by his University office and regular participation at national meetings, that went on for at least another 20 years. He held many positions in major surgical organizations; most noteworthy was his elected role as Vice President, American College of Surgeons in 1985-86. As a surgeon, teacher, researcher, and mentor to generations of physicians, he led many and inspired others. He was the author or co-author of over 450 scientific papers and was principal editor of seven books on general surgery. He facilitated the training of medical students from many nations in American institutions, leading to the proliferation of medical knowledge throughout the world. For these efforts, he received numerous awards and honors, at home and abroad.